Sworn Authorized Japanese Sworn Translation in Jakarta Indonesia provide Sworn Translation from and into Japanese English Chinese Korean Arabic French Spanish German and Italian. We translating documents such as Notary Establishment Deed of legal entities, Article of Associations, Contracts / Agreements, Manuals, Brochures, or personal legal documents such as Birth Certificates, and many others. Translation may be divided into a Regular or Sworn for your official or non official documents. In the business world, Japanese plays the key role as a major player in the global business arena and there are many benefits obtained by conducting business with the Japanese companies. Japanese is the official language of Japan - the third largest economy in the world. Although Japanese is not spoken in other parts of the world, except as a second language, the economic power of Japan has brought the Japanese to the forefront of international business. In consideration of this background, it is deemed necessary to overcome the language constraint when conducting business with them. In order to facilitate these needs, Japanese Sworn Translation in Jakarta has diverse language experts and professional staff with experience in Japanese, English and Chinese translation. Our translation agency the Japanese Sworn Translation in Jakarta always caters to your needs and we adjust our services to meet your satisfaction. We are committed to guarantee the best industry-compliant translation services and ensure that your needs shall be promptly satisfied by maintaining cost effectiveness. 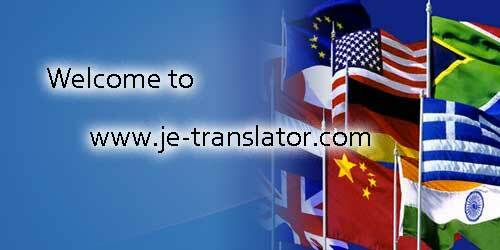 Japanese Sworn Translation in Jakarta is an online translation agency with complete services in Jakarta. Quality is our main priority - so that we may not always offer the most affordable prices. Other than translation services we also provide interpreting services, video subtitling services and document legalization services for corporate and individual clients.